Tac-Force Black Ops Spring Assist Combat Dagger Folding Knife | BUDK.com - Knives & Swords At The Lowest Prices! 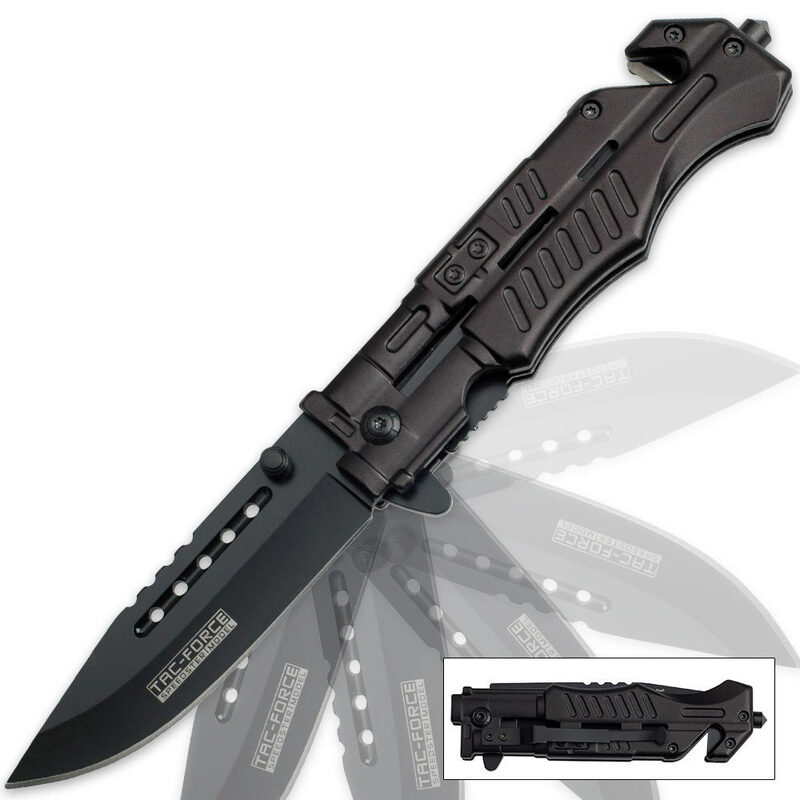 This Black Ops Combat Dagger folding knife is built to perform! The black-coated blade is constructed of 440 stainless steel with a double-edged look, only the spine of the blade actually has a faux edge. The blade rockets open with the help of the spring-assisted mechanism. The stainless steel handle is black for a covert look and feel and even includes a window breaking spike and pocket clip. This knife is great. It seemed a little small in the photo however it easily holds its own amongst my collection. I bought these as presents, and they are nice. I didn't have any of the issues other people have posted about having to tighten screws to keep everything together. The blades were decently sharp, although I would probably sharpen it if I was going to keep it. Personally, I was only able to open the knife quickly using my pointer finger. When I tried to open it using my thumb, I could only open it halfway. But I'm not too broken up about it, as my of the videos I saw on youtube, people would open their knifes with their pointer finger. One of my favorite products from trueswords. This knife is really great for thrusting because of the flared base and the ridged handle. The flared base also makes it much more easy to flip out compared to other spring assisted knives I have. It has High quality carbon steel and it came oiled. Great buy, I recommend purchasing this item.